At Simon Associates Management Consultants (SAMC), we help companies, and the people within them, realize that yes, “Change is Pain” but they can indeed change. When a business undertakes a change process, something we have found that works well is for those involved to think of the journey as a play in which they are performing. They all have roles to play, scripts to learn and a stage on which to perform. The kicker is that slowly (or sometimes, all of a sudden), they realize that no one is coming to their performance. This means they need a new play, new script, rehearsal time, stage direction and applause. The real question is: Why is change so hard? 1. First of all, the brain hates to change. Habits are efficient ways to get through each day. If everything feels fine, why change? How do I know the change will be better than what I am doing now? 2. Times are changing. Most people don’t like the unfamiliar. Change fits into that unfamiliar. Often, clients ask me when the speed of change is going to slow down. Guess what? Never. 3. People try to fit the new into the “brain map” for the old. Like a play, they don’t know the new script, haven’t had much time to rehearse and aren’t quite sure how to play the new role. How do we help companies move forward? To change? First, change is not about replacing current staff with new people. It is about changing how people “see, feel and think” and then “do.” It’s creating a new “story” that can be shared, one that helps a company’s employees visualize what is now expected and then perform new roles as if they are on a new stage. Visualize first: What will the new culture look and feel like? Storytelling can help people articulate what they think the new is going to be. What do employees say when asked how they are going to change the way they do sales or run a division that has just changed to new systems? Identify small wins: Find some things that are easy to change, change them and then celebrate. Repeat. Lots of small successful steps build momentum. Small wins also help that story. When people see what is rewarded, they understand what is now expected. Generate social support: Build teams of supporters for change and empower them. This is very important because culture is a team sport. The team will undermine any single individual trying to learn new ways of doing things. Change is only going to work if you build groups of people sharing the same behaviors, beliefs and values. 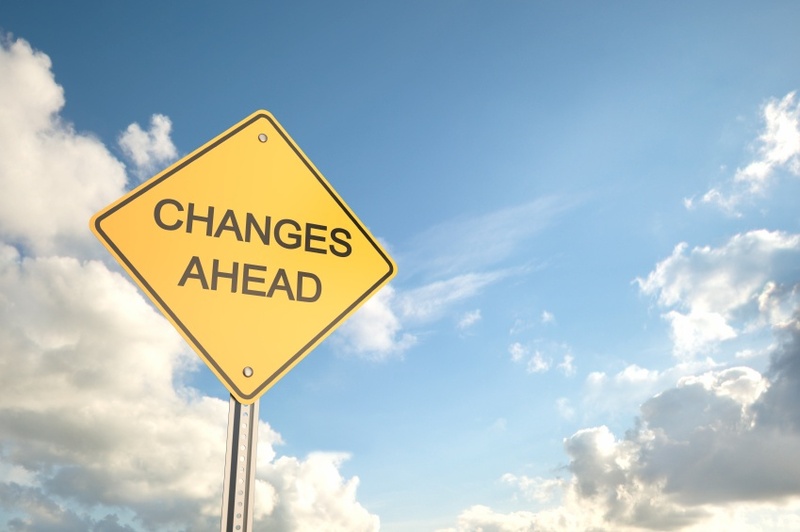 Design follow-up and accountability: Specify time frames for changes to be completed. Design follow-up and reporting events. Don’t let change be “someday” events that are open ended. You need hard due dates and then help people fulfill them. Provide information, visually if possible: Share as much information as possible on a regular basis and as broadly as possible. If there is no story to share or information about what is happening, people make the stories up. Stories and pictures are better than words alone. Measure: Identify criteria that will indicate successful change. Define a data gathering system and a time frame for assessing results—often. Create readiness: Expect resistance to change. Creating readiness may be essential. Emphasize to your staff about the disadvantages of not changing. Explain why: When people know why the change is necessary, that it came from them, they stop resisting. Explaining the “why” communicates caring and esteem. Hold a funeral: Sometimes it is important to stop something that people feel reflects the value of their efforts in the past. Respect that. Celebrate the past but also make the transition to the future. Implement symbolic as well as substantive changes: The most important change is in a company’s symbols. Identify those symbols that signify a new culture and that will help people visualize it. It is essential to change their mental interpretations of what is happening and to help them rally around the new. But once you know how to do it, it becomes the way you do things—a beneficial habit built around the things you need to do to continuously improve, adapt, innovate…and change. At Simon Associates Management Consultants, we're all about helping organizations adapt to change. If you'd like to discuss how we could help your business thrive in these rapidly changing times, please contact us. We love talking change! 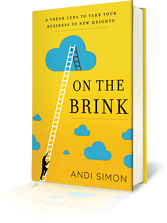 "On the Brink: A Fresh Lens to Take Your Business to New Heights." It contains real-life stories of seven companies that learned how to innovate and grow through the tools and process of corporate anthropology. Use it to build your own skill set to assess and change your culture.